Q: 1. How do I determine the effectiveness of the internal control system with regards to debtors? 2. What are the strategies that I can implement to ensure that debtors settle their accounts timeously, before having to take legal action against them or to write off their accounts? 3. 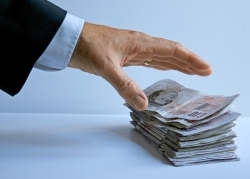 Why is taking legal action against delinquent debtors the last option we should consider? - Is there an individual at your business who is responsible for monitoring debtors from time to time and who is in charge of the internal control system? - What percentage of your debtors are paying their debts on time in the last year? - What percentage of your debtors are extremely delinquent (e.g. 3 months or longer)? - Work out policies/controls for debt collection, such as setting up automatic alerts for when debts are past due, when to start contacting debtors for delinquent accounts, etc. - Work out and implement steps to take in what order. For example, start with an email, then proceed to a phone call, then after possibly 5 calls/contacts to contact debt collection specialists and/or take legal action, etc. - Try above else to get the cooperation of the debtor before getting into legal action as this can be costly and take up a lot of unnecessary time. 3. Legal action against delinquent debtors should be the last option to consider because it is costly and time-consuming. It is a lot easier to simply have the debtor/s pay their account. However, this is not always the case, even after a large amount of follow-up. P.S. Does anyone else have any tips for internal controls and collecting outstanding debts from debtors?